I had to blend in in my old school too, I even meant it sometimes. But I am glad my new school has a better environment. Same here. I am so glad to hear rumors that Las Vegas has a more open-minded community about sexuality and gay marriage is legal there, I believe. It is not here in Montana, from what I know. Correct me if I'm wrong. Hmm, guess I have to include another guilty pleasure, huh? I absolutely hate shirts unless I want a good, stylish outfit ((Gay power!)). Whenever possible I will actually go around the house in my hiking boots or runners, socks, jeans, belt, and no shirt. And my necklace. I will wear boots, int eh snow, with boxers and shorts on ((outside if I am shoveling the driveway.. nobody will see my outfit. I make sure the boots and my shorts match though, irks me if they don't.)) and no shirt. I hate shirts. Pleasurable part? When we go shopping~ it is the main thing I look for. I love collecting shirts. Especially stylish DJ-style (as I refer to it) shirts! Totally agreed! Oh! I got another GP thanks to you, Orpheus. I always eat the last slice.. pleasurable. Then, I remember there is no more pizza, guilty. Buahaha. Ugh, I wanna say more chewing sponges, I loooooove to chew them. <3 It feels like borderline Pica, though. I like to rip things. Mainly just sponge, or the back of the scrubber you use to clean dishes. Don't be guilty about that! 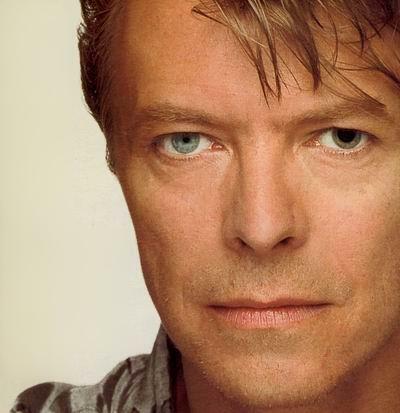 David Bowie is amazing! Especially when he is dressed in his Ziggy Stardust persona. The makeup, the bright red mullet, the cross dressing, I mean how can that go wrong!? He got that eye messed up because as a kid he got in a fight with one of his best friends, he got punched and his friends nail clipped his eyes or something like that. New one is lying around in my kigurumi all day and not getting dressed in regular clothes like a normal person. Pictures, pictures, pictures, pictures, pictures, pictures, pictures, pictures, pictures, pictures, pictures, pictures, pictures, pictures, pictures, pictures, pictures, pictures, pictures, pictures, pictures, pictures, pictures, pictures, pictures, pictures, pictures, pictures, pictures, pictures, pictures, pictures, pictures, pictures, pictures, pictures, pictures, pictures, pictures, pictures, pictures, pictures, pictures, pictures, pictures, pictures, pictures, pictures, pictures, pictures, pictures, pictures, pictures, pictures, pictures, pictures, pictures, pictures, pictures, pictures, pictures, pictures, pictures, pictures, pictures, pictures, pictures, pictures, pictures, pictures, pictures, pictures, pictures, pictures, pictures, pictures, pictures, pictures, pictures, pictures, pictures, pictures, pictures, pictures, pictures, pictures, pictures, pictures, pictures, pictures. PLEASEE! fadhgadf just for you guys :3!! that was pretty disappointing huh.